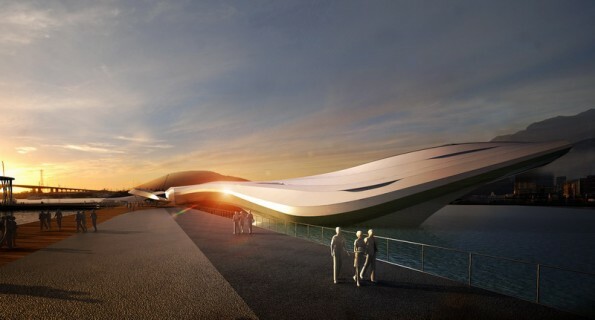 Fluid, one of the most eye-catching designs for the much-anticipated 2012 World Expo in Yeosu, South Korea, is a whale-like pavilion designed by Melbourne-based Peddle Thorpe Architects (PTA). Their organic floating exhibition space is designed around the concept of adaptability, making the structure useful for many scenarios, even long after the World Expo has concluded. 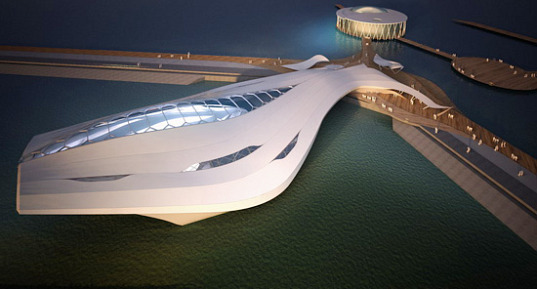 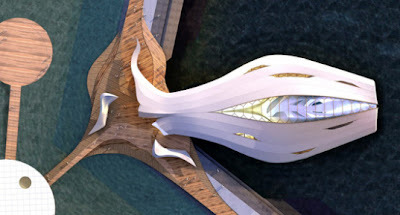 With it’s environmentally aware design, Fluid has a minimal impact on the surrounding coastal ecosystem and has another extremely cool feature – after it’s duties in Yeosu are complete, the whole building can unlatch from its site and be sailed to other cities as a giant, amphibious floating exhibition!